Four arrested in 1st cyber fraud in J&K ! Srinagar: A Nigerian national is under the scanner of Jammu and Kashmir Police while four other persons have been arrested in the first case of cyber bank fraud in the Kashmir Valley. Four persons, including two residents of Mumbai, were arrested last week in connection with a case of bank fraud caused by cyber hacking, in which Rs 3.25 lakh were swindled from three accounts in Kashmir. "It is the first case of its kind in the Valley. 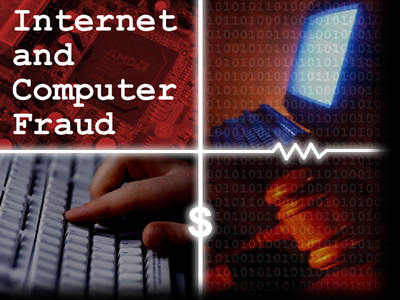 The first cyber related bank fraud case carried out in Kashmir by using tampered credit cards which are cloned and linked," said Senior Superintendent of Police (SSP), Srinagar, Ashiq Bukhari. The case could lead to a breakthrough in busting a "huge nexus involved in bank frauds across the country or may be outside the country," he said. On December 30, police received a complaint from a local jeweller that a "fraudulent" digital transaction worth Rs 1.35 lakh had been made from his shop. Faisal Khan, both residents of Mumbai, were arrested in connection with the case," the SSP said. "The non-locals claimed to be working at the behest of an accomplice based in Mumbai. Around 18 cloned debit and credit cards belonging to various banks were recovered from the accused," he said. Bukhari said the suspected kingpin, identified as Sumear of Mumbai, stayed in Srinagar for three days and later left for Mumbai. "Money was transferred from a hacked account to another account. They used card cloning and card linking to hack into accounts," he said. The SSP said involvement of an unidentified Nigerian national has come up in revelations made by the arrested persons. "One Nigerian is involved and he is currently in Mumbai but we do not have much details about him," Bukhari said. During the investigation it was revealed that the two arrested non-locals accompanied by Sumear reached Srinagar on December 22. "They stayed in a local hotel and in connivance with local accused committed digital fraudulent transactions on December 23, 24 and 30 for Rs 95,550, Rs 95,550 and Rs 1,35,000 by using five fake cards," he said. The two local accused, one of whom facilitated the visit of non-locals to the Valley, have been identified as Nisar Shiekh and Abid Majeed, Bukhari said. The total number of people involved, the exact modus operandi and the quantum of fraud "cannot be gauged with certainty" without the arrest of the kingpin, he said.